The White Plains personal injury attorneys at Worby Vecchio Edelman practice exclusively in the field of Plaintiff’s personal injury; we only represent parties who have been injured as a result of an accident, or medical malpractice. The types of accidents that we have seen are endless: the myriad types of motor vehicle accidents, including motorcycle, pedestrian, passenger, or bicycle injuries; motor vehicle accidents involving cars, trucks and buses, and even moving trains striking motor vehicles; and motor vehicle accidents that occur as a result of a defective roadway. We represent victims of premises accidents, including slip and fall, or trip and fall accidents, and other premises liability cases, such as being struck by fallen objects. The attorneys at Worby Vecchio Edelman represent victims of construction accidents, not only workers, but people injured at constructions site due to a failure to engage in proper safety practices. Given our experience in the field, we necessarily deal with insurance companies, and the insurance policies of Defendants whom we sue. We turn our attention this month to motor vehicle insurance policies, and specifically to two elements of the typical New York motor vehicle insurance policy. We first touch on the minimum amount of liability insurance required in New York. You may be shocked to know that the minimum amount of automobile insurance permitted in New York is $25,000. That means that if you are injured in a car accident caused by someone else’s negligence and the responsible party carries only $25,000 of insurance, that $25,000 amount will be the maximum amount which the Defendant’s insurance company may be responsible to pay, regardless of how seriously you have been injured. Of course, a Defendant would be responsible to pay the amount of any sustained verdict, regardless of the amount of insurance which that Defendant may carry, but frankly, someone with only $25,000 in insurance coverage is not likely to have assets to recover in the first place. The good news is that motorists can protect themselves from involvement in a motor vehicle accident with someone who carries an appallingly low amount of insurance; that brings us to the second aspect of the typical New York motor vehicle insurance policy which we want to discuss. New York permits Supplementary Underinsured Motorist coverage, also known simply as “SUM” coverage. SUM coverage is insurance which protects you from involvement in a motor vehicle accident with a motorist who carries less insurance than you carry. SUM coverage serves to supplement the amount which would otherwise be available to compensate you for your injuries, such that your purchase of this coverage effectively serves to increase the amount of coverage purchased by a defendant. If you carry $100,000 in SUM coverage, you won’t have to worry about someone with a $25,000 insurance limit, because your own company will step in to raise that ceiling to the level of $100,000. Of course, if your SUM coverage is higher, say, $300,000, or $500,000, or even $1,000,000, that amount would be the highest available to you if your injuries justify such a recovery, even if the party at fault carried less insurance than the amount of your SUM insurance. Our experience has taught us that many consumers have never heard of SUM coverage. They may know that it’s a good idea to purchase a limit of liability insurance higher than the minimum of $25,000, but even then, are simply unaware of SUM coverage and wind up with a SUM policy for the minimum amount of $25,000. You can avoid the awful situation of finding yourself seriously injured as a result of an automobile accident which was not your fault, with only a limited insurance policy available for recovery, by purchasing additional SUM coverage. 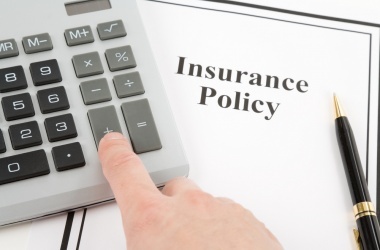 Take a look at your insurance policy today; you’ll find a list of coverages in the first few pages of the policy, and the amount that you have for SUM coverage will be toward the bottom of the coverage list (known as the declarations page). With a simple phone call to your insurance company or insurance agent, you can purchase an amount of SUM coverage equal to the amount of your liability coverage. The White Plains injury attorneys at Worby Vecchio Edelman have years of experience fighting for the rights of clients injured in all types of accidents. Contact our team of personal injury attorneys if you or a loved one have been injured in any type of accident. The consultation is free. We’ll answer all of your questions, and explain your rights. We’ll let you know if we think you have a valid case, or if you don’t have a valid case. We work completely on contingency, so there’s never a legal fee unless we recover money on your case.